Chery Tiggo 5 (T21) — a new crossover. 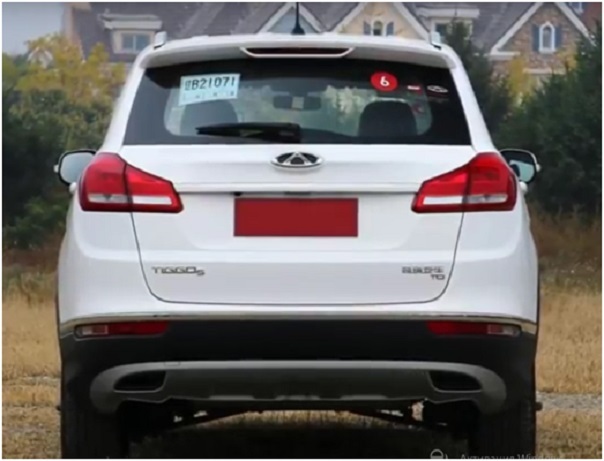 The newest crossover Chery Tiggo 5 made in China was officially presented in November 2013 at an auto show in Guandzhou, and two weeks later model appeared in the shops of Chinese auto dealers. Specifications of the new Chery Tiggo 5 2015-2016 model year can boast of two-liter petrol dvigitelem capacity of 139 horsepower. Front-wheel drive, is aggregated with 5-speed manual transmission or a CVT CVT. On the Chinese market price of crossover varies from 94-151 yuan, which translated into Russian rubles is 508-815 thousand. Chery Tiggo 5 2015 — 2016 photo front. The model is of particular interest, primarily because that Chery Russian motorists have enjoyed a certain demand brand has won a niche and found the consumer. The new crossover Tiggo can rightly be called a budget. Rate it until it can be except that the photos and videos, but even that can give an idea of the model in front of us «live» car that had just left the assembly line. As usual, we start with the front of the car. Before our headlights that are quite compact and have a rectangular shape. They were «cannon» linzovannaya optical beam and low beam. LED daytime running lights, they have a stylish «corner» design. False radiator grille is made accurately, its chrome-plated frame. Bumper powerful enough to clearly marked style of the crossover. On the bottom edge of seeing powerful protection of unpainted plastic. In a bumper — slotted ducts and fog lamps on the original inserts. The plane of the flat bonnet, from the headlights to the front roof pillars are two edges, giving the exterior a certain elegance. Rear-view mirrors with indicator lights are also quite original. If you look at the body side Chery Tiggo 5, the first thing that catches your eye wheel arches with the original wavy vyshtampovki. In general, we have the classic profile of a compact crossover and modern. 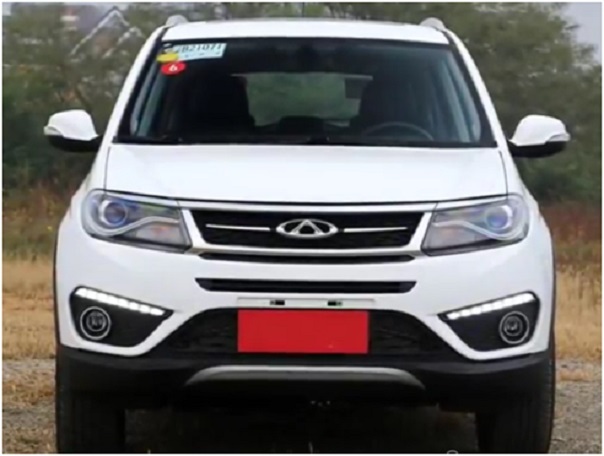 We are not specified — Chery Tiggo 5 sample 2015 2016 is really modern and stylish model in many respects. The wings and doors are «hollow» of the surface, window-sill line high, dates back to the stern. The roof line drops down to the back body lines, minimal overhangs. 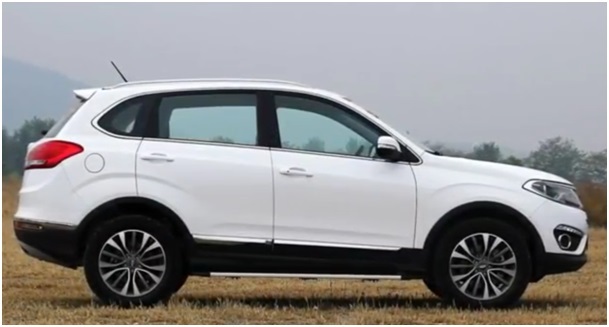 If another Chery Tiggo 5 were established 18 or 19-inch wheels. But this is so, the hope generated by the photos of the new crossover. Feed Chery Tiggo 5, too bad, though, in our opinion, a form of the 5th door several unsuccessful. The opening from the bottom narrowed, and it does not give the possibility to download large oversize cargo. This is despite the fact that the luggage compartment is roomy and such goods can easily accommodate it. But the size of the rear bumper impressive element has the full protection of unpainted black plastic. The exhaust pipes are spaced apart, they trapezoidal nozzle. Overall lights too large, the LED inside the filling. The back door is crowned with an integrated spoiler additional «stop», which is also modern LED elements. If you use your imagination for a moment and imagine that we have covered hand logo Chery, removed all signs Tiggo, the identification of the brand will be difficult. What does this mean? Chinese designers quickly go forward, and soon may be able to compete not only the Korean and Japanese manufacturers, but also European and American grandees. Chery Tiggo name may be confused with the familiar to the Russian market Chery Tiggo FL. But the similarity is only in the titles, looking inside the cabin of the new crossover, you will see many differences. However, they are not as significant as appearance, but they are also striking. The main highlight of the dashboard optitron, where the on-board computer screen. Multimedia set of very advanced, has a 7-inch touch screen, which allows you to control not only the music but also the telephone, map navigation. The screen shows the picture from a rear view camera. Changes were and center console on the front panel. The Chinese manufacturer declares that the materials become more trim quality, and the very assembly performed better. The wheelbase has grown by 100 mm, and it has added space in the luggage compartment and space for the legs of the second row passengers. The rear seats are transformed longitudinal bed is controlled so that the floor of the vehicle becomes smooth and its volume increases. The transformation can be accomplished by lightly pressing the two buttons. Chery Tiggo 5 has a good list of modern equipment: ABS, EBD, ESP, multifunction steering wheel (music, telephone and so on. ), Assistant at the start of the hill, the ability to connect your iPod via USB, mirrors electrically adjustable and heated, 7-inch touch screen color , rear view camera, fancy audio system with six speakers, climate control, air conditioning and much more. A little about the specifications. Chery managers say that since the beginning of the sales model will have is only front wheel drive. All-wheel drive version with electric, electronically controlled, should appear only by the end of next year. Suspension of Chinese engineers have still by Chery Tiggo FL, and left it unchanged: MacPherson strut front, multilink rear system. Also you will find a crossover stabilizer bars, all-wheel disc brakes. The steering wheel is equipped with a hydraulic booster. Chery Tiggo 5 is equipped with a single two-liter petrol engine capacity of 139 «horses». Or aggregated with 5-speed manual or a CVT CVT. Cherie Managers argue that soon the model will be equipped and modern turbo engines of 1.4 and 1.6 liters.